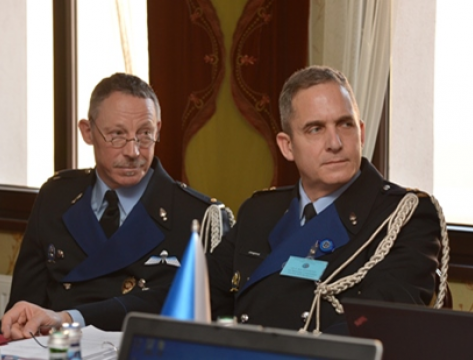 The Inaugural NATO Military Police Centre of Excellence Steering Committee Meeting (NATO MP COE SC) was held on 5 - 6 February 2014, in Bydgoszcz. The Steering Committee plays a significant role in planning the Centre’s activity, particularly in terms of identifying strategic development perspectives, funding current and future activities as well as approving fundamental documentation required for the Centre’s further existence. 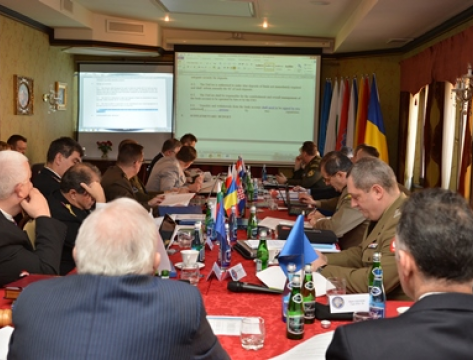 During the two-day deliberations chaired by Maj Gen (Ret) Włodzimierz SĄSIADEK, representatives of 6 Sponsoring Nations (Bulgaria, Croatia, the Czech Republic, the Netherlands, Germany and Romania) and Poland as a Framework Nation, reached substantial decisions indispensable for the NATO MP COE activity. 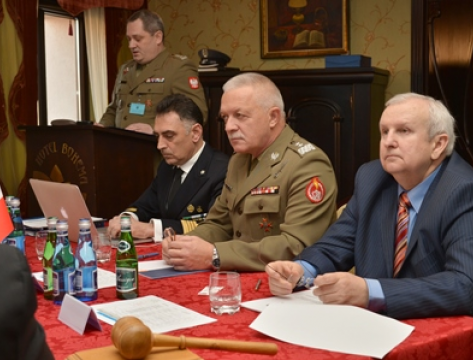 The Meeting was inaugurated by the Military Gendarmerie Commanding Officer Maj Gen PhD Mirosław ROZMUS, who delivered statutory NATO MP COE responsibilities. 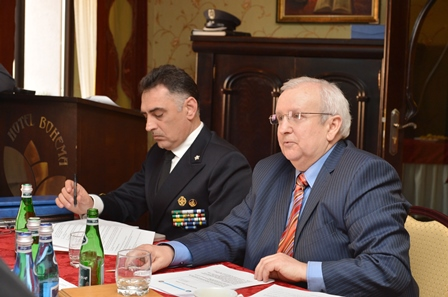 - Thanks to the Centre, military policemen will gain benefits from the best experts. 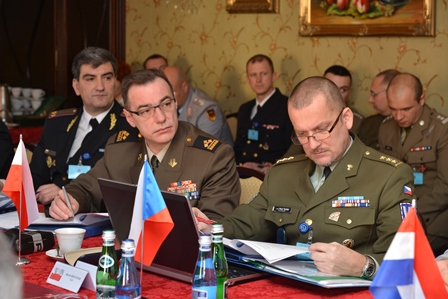 45 officers from Bulgaria, Croatia, the Czech Republic, the Netherlands, Germany, Romania and Poland will mutually cooperate for NATO at the NATO MP COE. 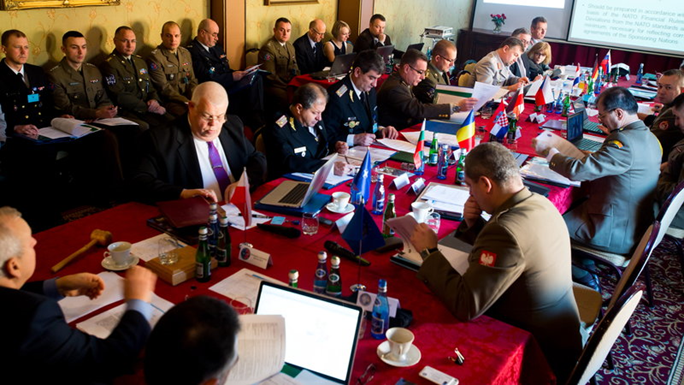 The NATO MP COE mission will be to enhance capabilities of the NATO MP, foster interoperability among MP within NATO, and provide subject matter expertise on task accomplishments. 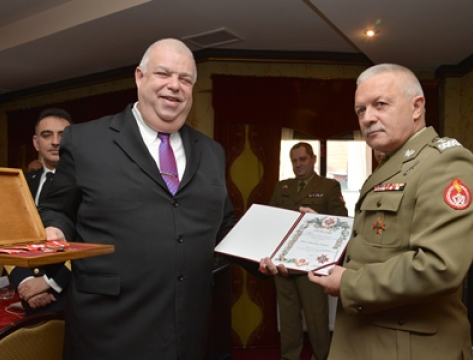 The initiative for the establishment of the Centre constitutes a part of the NATO transformation process (…) Intensive works undertaken in 2011 are finally completed. The results of hard work as well as a great deal of effort that were devoted at that time made it possible to achieve the objective (…). 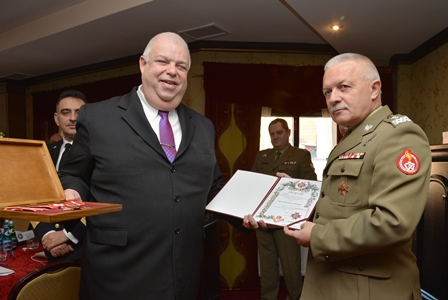 – said the Military Gendarmerie Commanding Officer, Maj Gen Mirosław ROZMUS at the press conference. 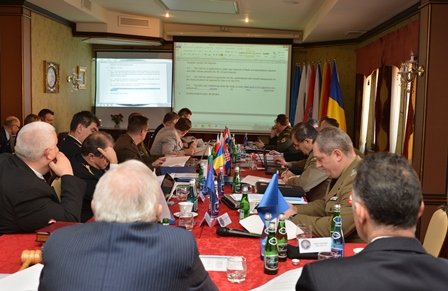 - The Steering Committee which consists of the Centre’s Sponsoring Nations representatives, charts the five-year strategic tasks, approves the annual budget and programme of work (POW) as well as reviews the Director’s current operations, POW and budget accomplishments – underscored the NATO MP COE Director, Col Grzegorz WASIELEWSKI. 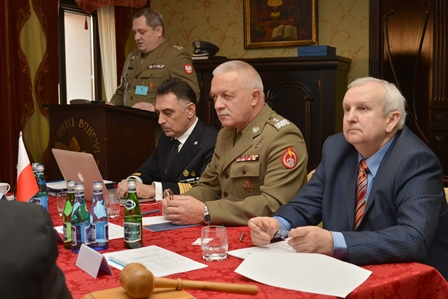 Col Grzegorz WASIELEWSKI stressed the fact that Poland holds the status of host nation, while the remaining countries play the roles of sponsoring nations. The target Centre’s personnel will count 45 officers and non-commissioned officers, including 15 posts in total designated for Poland. Currently, 7 Sponsoring Nations’ representatives are assigned to serve with the Centre. 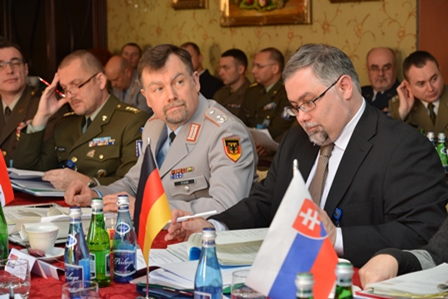 In the future, the Centre might expand its personnel by other NATO or PfP representatives. 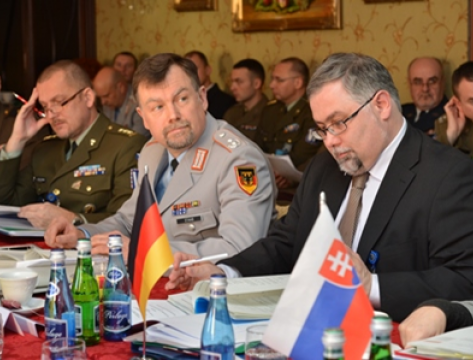 Canada, Slovakia and Italy have already expressed their interest in joining the Centre’s mission. 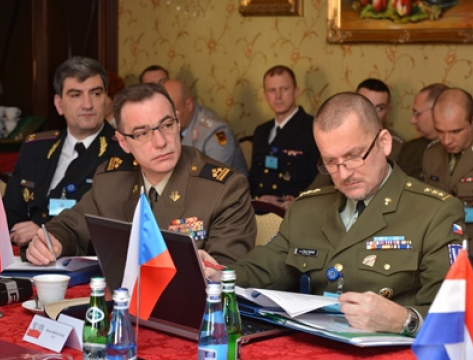 In 2013 – 2014, Poland covers all Centre’s operations expenses and in the subsequent years the costs shall be distributed among Nations participating in the project. 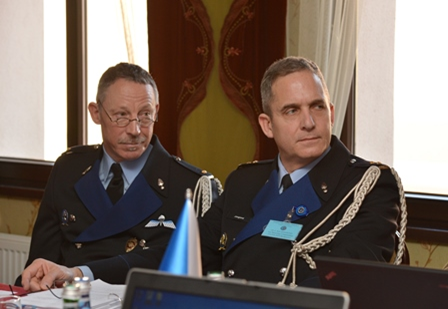 The NATO MP COE Meeting was also attended by Allied Command Transformation (ACT) representatives led by Transformation Network Branch Head, Capt Dario LECCESE (ITA N), who briefed Sponsoring Nations’ representatives on conclusions drawn after the accreditation visit which took place before the SC deliberations. 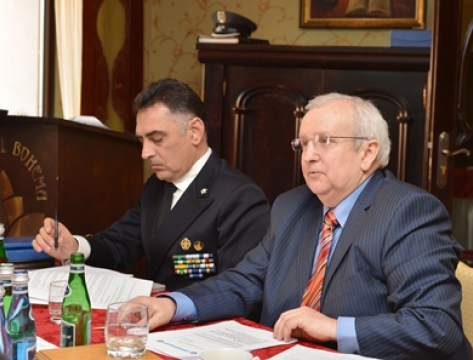 Head of delegation, Capt Dario LECCESE (ITA N) in his speech summarised the 4-day visit at the NATO MP COE and emphasised the fact that the Centre fully deserves a favourable recommendation for obtaining NATO accreditation that will be granted by Allied Commander Transformation in his official speech for the North Atlantic Council. 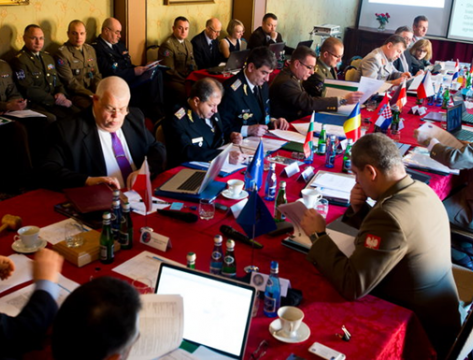 After ACT accreditation, the Centre will join the network of 23 other NATO centres of excellence.